Should we re-use old security cameras with new system? This question comes from many commercial customers that own older type cameras, usually from old location. When we provide Video Surveillance system installation we always trying to work with the customer budget and in some cases older cameras will do the trick in some location while saving additional expanses. Will older type camera fit new HD DVR recorder? In most time they will! Halcyon CCTV Experts offers Tri-Brid DVR/NVR recorder which support Analog/HD/IP Cameras, most older analog cameras will fit directly but some companies like Samsung created unique plug that only fit Samsung DVR’s while the camera it self is standard. 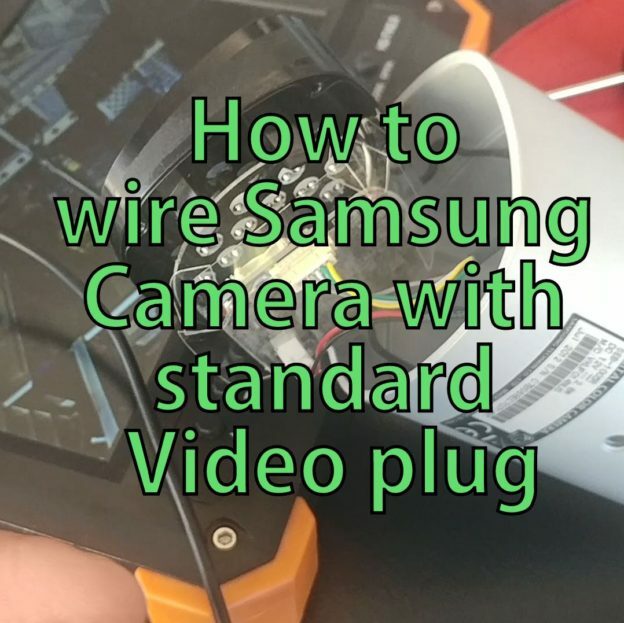 How to connect Samsung analog camera to standard DVR?